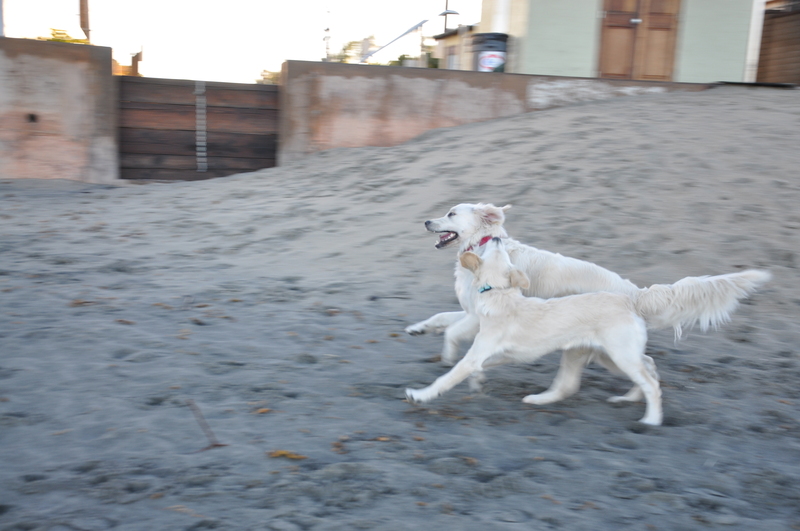 I LOVE chasing Callie when we are playing on the beach. I make a habit of it every time I am let off my leash. On another note, due to training and name recognition that we have been working on at home, I mostly come to my name when I am called no matter how far away I am. I ❤ the beach!! !